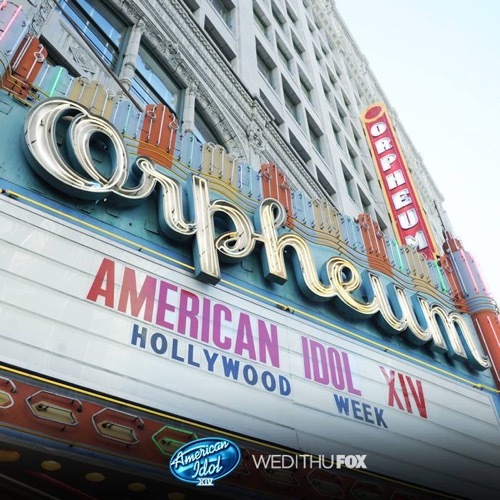 It’s another exciting night of AMERICAN IDOL on FOX with an all new Wednesday February 4, season 14 Episode 9 called “Auditions #7” and we have your weekly recap below. On tonight’s episode, Hollywood Week opens with the singers forming lines of 10 and performing for the judges. On the last episode, the search for a superstar continued onto its seventh part, who got a chance at becoming the next American Idol. Did you watch the last episode? If you missed it, we have a full and detailed recap right here for you. Tonight’s episode begins now – Refresh Page often to get the mot current updates! Tonight’s episode of American Idol kicks off with the contestants in Hollywood – this week they will be trying to earn the right to sing for America’s votes. Over 200 singers will begin this week in Hollywood, and only 24 singers will remain when it is over. The Idol judges Jennifer Lopez, Keith Urban, and Barry Connick Jr. head to the theater for Hollywood Week, the 200 contestants are all sitting waiting for them. Keith Urban calls 16 year old Tyanna Jones up on stage next, from the San Francisco auditions. While Tiana gets up on the stage, Ryan Seacrest comforts Tyanna’s nervous mom Tami. He reminds her that they have no idea why the judges are calling up these singers, and it doesn’t necessarily mean that she is up on the chopping block and going home. Savion Wright, who was sent home last season, follows Tyanna’s performance. Up next is Brooklyn’s Hollywood Anderson, during his audition in Brooklyn Harry Connick Jr. dubbed him the best singer – but Jennifer is not impressed by his Hollywood Week performance. The judges tell the contestants that they need to “loosen up and relax” because their nerves are really affecting their singing. Minneapolis singer Shannon Berthiaume is called up next, she admitted before that she has no experience singing in front of an audience. She kicks off with a Stevie Wonder song, and about half way through she gets a bout of stage fright and freezes and forgets the words to the song. After a few awkward minutes of silence, she tries to recover and finish the song. Afterwards Shannon takes her seat, and is nearly in tears – she thinks that she blew her shot at being the next American Idol. Country singer Garrett Mills takes the stage next, he blew the judges’ minds away during his audition when they realized that he is completely blind. After his performance Garrett gets a standing ovation from his fellow contestants. Following a slew of bad performances, Nashville singer Trevor Douglas is up next. He jokes that he hopes is guitar is in tune – after all of the horrible performances before him. Jennifer Lopez shouts that she wants to hear him again afterwards because she is so in love with his voice. Backstage one of the American Idol contestants is having a total panic attack, Amber Kelechi sobs that “she is afraid,” she doesn’t want to have to go home and she feels a lot of pressure to succeed because her family is counting on her to get them out the hood. She pulls herself together and Amber jumps on stage and performs “Radioactive.” Harry Connick Jr. is not impressed though, he thinks that her Nashville audition was much better. After Amber’s performance, the judges call all of the singers that performed today on stage – back up on stage at once. Keith explains that the reason they were called up to sing again was because they were “some of the most memorable.” Jennifer says that the judges have decided to give them all the benefit of the doubt, although some of them were out of tune – and they have decided not to cut any of them today and they are all safe…for now. The contestants and the judges all leave and head to their hotels, and then the next morning they return to the theater for Day #2 of Hollywood Week. Before they call the singers up on the stage, the American Idol judges give them a pep talk and warn them not to “blow it with their nerves.” Before they take their seats, Harry Connick Jr. warns them that at least half of them are going home today. The judges takes their seats, and they call the first ten singers up on stage. Reno Anoa’I is the first singer to perform, up next is Priscilla Barker, Jaq Mackenzie, and another hand full of singers. Jennifer, Keith, and Harry deliberate on the line of ten singers. It’s time to announce who is staying and who is going home. Jaq and Reno are all safe – and will be moving on to the next round. Unfortunately, Priscilla has been eliminated and is going home. The final performance of the night is Gabby Z. with her rendition of “Down By The River” by Delta Ray – about ten seconds in to the song Gabby stops playing her guitar and freezes, the judges try to encourage her but she begins sobbing.